my love affair with all things fall has translated into my crafty adventures this weekend. while it rained outside, ellie (my clingy dog) cuddled in my studio chair and i inked many leaf die cuts until this came together. it was a good weekend. - i started with a 3-1/2 x 5 piece of desert storm. i used a bit washi tape to tack it down to my non-stick craft mat. -then i used micro pore tape to block out just the design i wanted to use on a stencil with multiple patterns (washi tape would have worked well too but i liked the width of the micro pore). 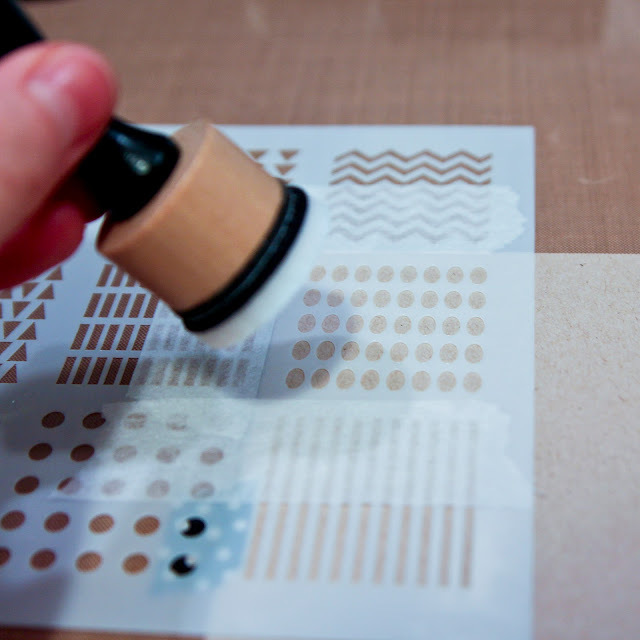 then i applied cosmic shimmer glue through my stencil with blending tool. 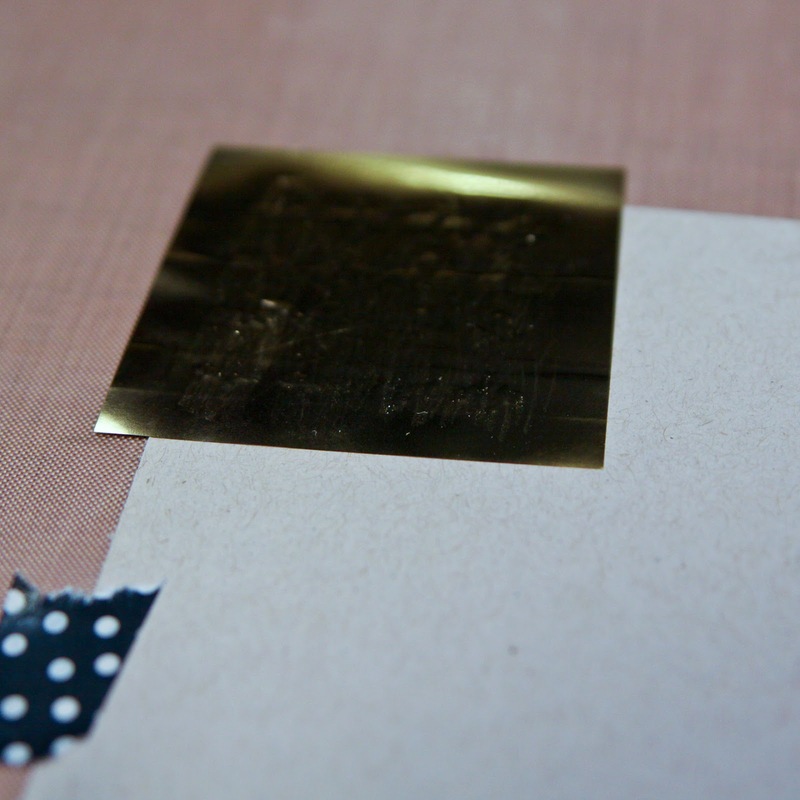 -i removed the stencil, gave the glue about a minute to become tacky and then applied a square of gold transfer foil. i burnished over the foil and then removed it, leaving the foil design behind. i repeated the process again across my piece of desert storm to make a border. 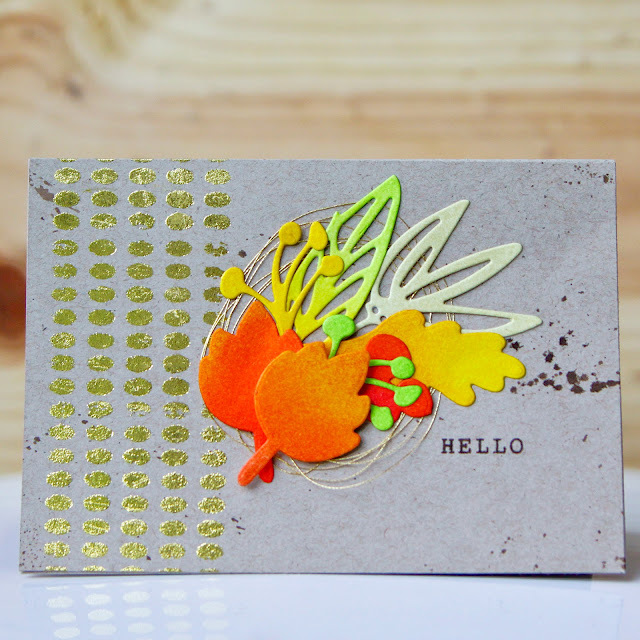 i love using the glue with the transfer foil and stencils. it's not as crisp of a look as when you use some of the other applications but it's easy and still really pretty. 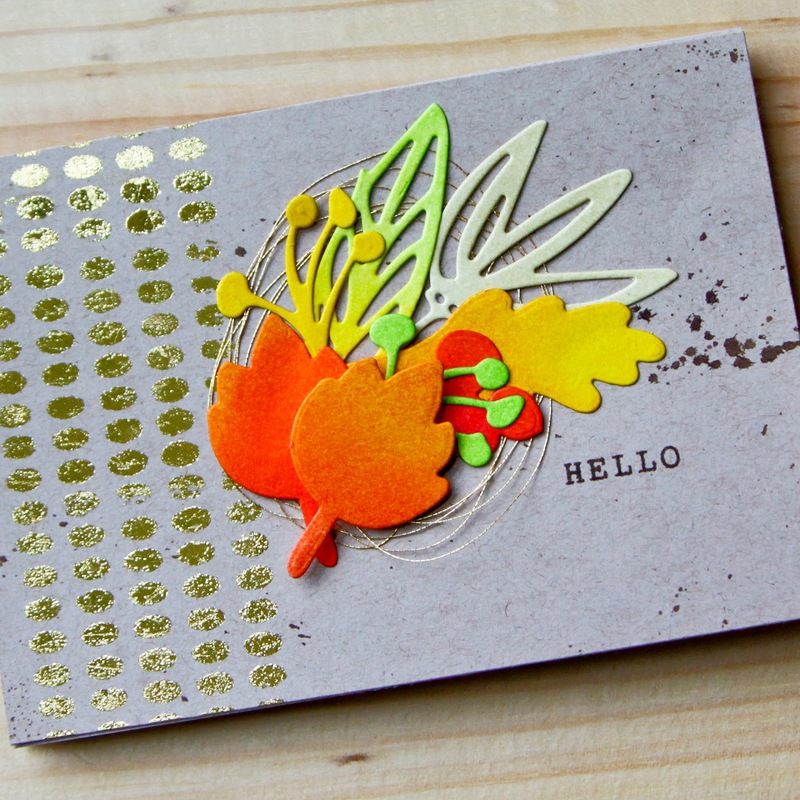 -next i die cut leaves and floral pieces from essentials by ellen designer dies thankful and wild garden sets. i inked them with antique linen, mustard seed, spiced marmalade, twisted citron and abandoned coral distress inks. -i applied some ground espresso distress ink splatter to my foiled panel and then arranged my foliage over it, with a nest of gold thread underneath. -finally i finished with a "hello" sentiment from the mama elephant happy everything set. Your cards are beautiful! Thanks for sharing! This is beautiful!!! and I learned some new techniques, too...SCORE! Thank you!! these are incredible! I love the use of the foil, brilliant idea! I am stunned speechless! What awesome tips I just learned and how pretty! Thanks Carly.